Less than two weeks after Apple unveiled new iPads with Apple Pencil support (see “Apple Quietly Releases New iPad mini and iPad Air” 18 March 2019), the company has issued updates to its iWork app suite, with those updates largely aimed at iOS users. A little history… back in 2013, when Apple completely revamped the iWork apps, bringing true cross-device document compatibility between the Mac and iOS versions of the apps, many users were horrified by how many iWork features Apple abandoned in the process (see “New Free iLife and iWork Apps Share across Devices and Platforms,” 22 October 2013 and “Why iWork Had to Change (and What That Has to Do with Aperture),” 9 July 2014). Although most of those features reappeared slowly over the years, they did so usually first—and often only—on the Mac: the iOS iWork apps would preserve any content created with those features on the Mac, but those apps might not be able to create or edit the same sort of content on their own. However, in the last year or so, Apple has been striving to make the iOS apps more capable of content creation. The current round of iWork updates continues that trend, although the Mac and iCloud browser-based apps did get some attention as well. Tables of contents are the marquee feature of Pages 5.0 in iOS and Pages 8.0 on the Mac. Previously, you could create a table of contents for a document only with Pages for Mac; now you can not only create them on both platforms but also navigate and edit them in a new table of contents viewer. In another major change, the iOS version of Pages has now gained the capability to switch a document between word processing and page layout formats, previously a Mac-only feature. In addition, the Mac version of Pages now lets you place alignment guides on master pages to help with layout. 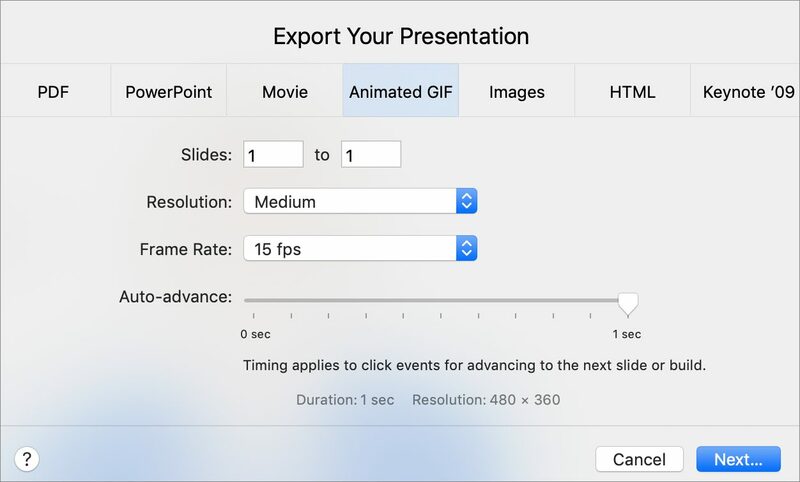 As for animations within a presentation, the iOS version of Keynote has inched closer to the Mac version, and in some ways surpassed it. Both apps now support action build effects, and in the iOS app, you can create hand-drawn animation paths, either by using your finger or, on those iPads that support it, an Apple Pencil. Finally, Keynote on the Mac better supports extra-wide slides in its slide navigator, light table, and presenter displays, and iOS users can now edit presenter notes as they rehearse or present a slideshow. As is nearly always the case, if you upgrade the iWork apps on one of your devices, you should upgrade them on all of your devices. Otherwise, you may experience interoperability problems or just confusion when new features, such as shared templates and custom shapes, don’t seem to be available. Nonetheless, unlike many prior updates to iWork, I have found the previous versions of the iWork apps can open documents created with the latest iWork apps. But what about iWork for iCloud, the browser-hosted versions of the suite’s apps? Those apps have been updated too. They now provide the capability to recover recently deleted files, and they incorporate some of the enhancements of their on-device siblings, such as better Smart Categories support in Numbers and improved table editing. Nonetheless, they remain second-class citizens suitable mostly for light commenting and collaboration, rather than full-fledged content creation and editing. In any case, Apple’s iWork suite has advanced considerably since its 2013 reboot. No longer toys, these free apps have acquired capabilities that rival those of the most powerful productivity apps available on any platform. If you haven’t looked at Pages, Keynote, and Numbers recently, you should, especially if you’re an iPad user: iWork has become a powerful competitor in the tablet-based app market, and you certainly can’t beat its price.